"I am interested in doing a short sale, but I hear horror stories about the timelines involved. Some people I know have been doing a short sale for more than a year. I've been told that it could take several years to get my short sale approved. That seems terribly long for no good reason. What is an average timeline for a short sale?" Also, perhaps you are paying on two or three loans? Maybe your loan carries mortgage insurance? All of these conditions affect the wait for short sale approval and add overlays to your short sale. Banks might ask for additional paperwork, but almost every bank asks for the above documents. I scan those documents into a PDF file, noting the loan number on every page. Then we sign the listing agreement, disclosures and third-party authorization, which allows me to speak with the seller's bank(s). I shoot photographs of the home, conduct my agent visual inspection and attach a lockbox. In my area of Sacramento, from the time the listing enters MLS to the time of an acceptable offer is anywhere from two to three days to two to three weeks. If the home is located in an area with high inventory, it could take an additional 60 to 90 days before we receive an acceptable offer. Once an offer is received and signed, I send it to the bank, along with the seller's short sale package and a prepared HUD. 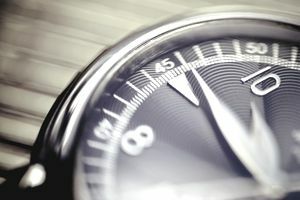 From that point to the time of short sale approval, the average timeline is about 60 to 90 days. It means 30 days to sell + 60 days for approval + 30 days to close escrow = 4 months, on average. One of the biggest problems we see in short sales today are buyers who are not committed to the short sale process. Because much of the timeline is unknown, it can make a buyer feel very insecure. A short sale listing agent can give an educated guess, but whether the buyer's agent understands how a short sale works is a wild card. If a buyer's agent cannot manage a buyer's expectations and does not know how to explain a short sale timeline to a buyer, that buyer can easily spin out of control. It's not the buyer's fault. An out-of-control and frustrated buyer is a buyer who is about to cancel the short sale transaction. These types of buyers do not want to wait for short sale approval. They will cancel and then enter into another short sale transaction, which starts the clock ticking again. Makes you wonder why. Another problem is the wait for the short sale timeline gives buyers too much time to think about buying the short sale. If they were buying a traditional sale, by the time they decided they did not like the home, hated the neighbors and wished they'd never laid eyes on the place, the transaction would be closed. But short sales take so long that buyers have too much time to consider all the negatives and drawbacks. Sometimes, they develop cold feet. I had a seller cancel a short sale which she swore initially was her dream home. She had the approval letter, and the lender was close to drawing documents. But the appraisal was $20,000 lower than the sales price because there very few sales in that neighborhood. The appraiser had to look outside of the area for comparable sales. He used sales that were not really comparable sales. The buyer was afraid the value of the home fell during her 30-day escrow period by $20,000, and she freaked out. Instead of being thrilled that the bank was forced to reduce the price of her home by $20,000, the buyer canceled the short sale. She was not ready to buy a home. Not every buyer is ready to buy a home. When these types of events happen, and the buyer cancels, the short sale timeline starts over. It is why the most important thing you can do in a short sale is to keep the buyer informed, engaged, and happy.